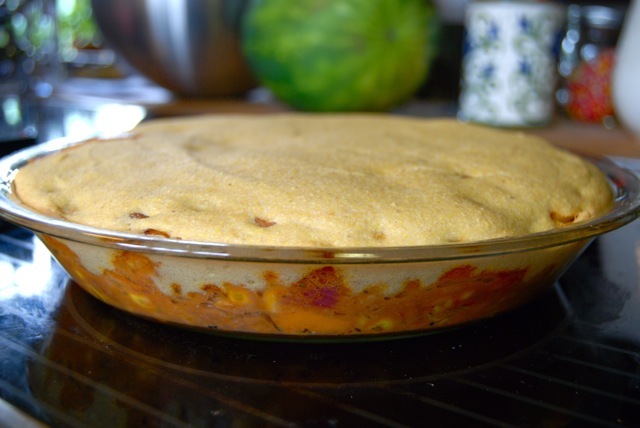 Hot Tamale Pie – Low Sodium, Vegan, and Delicious! Going vegan, like going low-sodium, is a challenge. Out the window goes convenience; in its place goes planning. But having spent the past 8 years reading box labels, scanning aisles for products I can enjoy, and cooking pretty much every meal at home, I can honestly say being plant-based is no different than living life without salt. As HARD as it seem (all caps) it really hasn’t been hard. Going vegan sounds like it would be crippling in its limitation, but in truth it’s the most freeing way of looking at food imaginable. Without meat on the menu, our plates have broadened to include a far more diverse array of foods and in far greater quantities than before. We’re loving it! And frankly, with food like this, what’s not to love?! 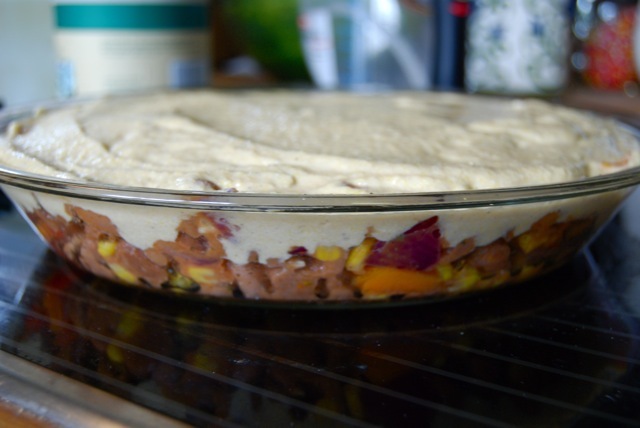 I’ve seen many versions of Tamale Pie in cookbooks and the internet, but I like this one the best. 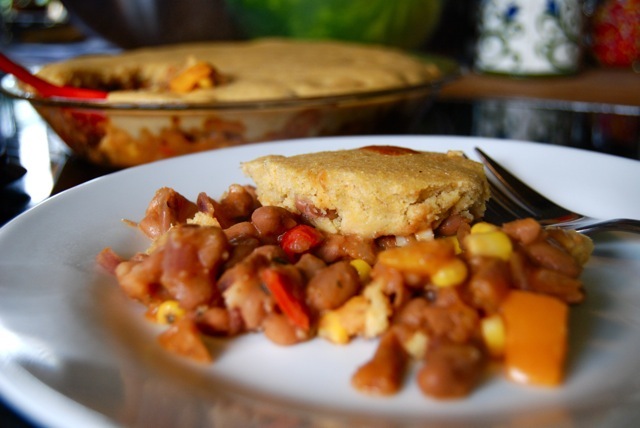 A hearty southwestern filling of pinto beans, onion, garlic, sweet pepper and corn, baked beneath a blanketing crust of cornbread. It’s absolutely delicious, not to mention cheap, easy, and healthy. 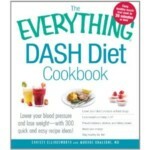 I’ll be serving mine with sauteed collard greens and sliced watermelon for a fully balanced meal. Preheat oven to 350 degrees. Spray a deep dish pie pan lightly with oil and set aside. Heat oil in a saute pan. Add the onion and garlic and saute 2 minutes. Add remaining filling ingredients and saute 2-3 minutes more. Remove from heat and transfer filling to the prepared pie pan. Set aside. Measure the cornmeal, flour, and baking powder into a mixing bowl. Add the nondairy milk, oil, and maple syrup and stir well to combine. Pour batter over the filling in the pie pan and smooth to even. Place pan on middle rack in oven and bake until golden brown, 30 minutes. Remove from oven and serve immediately. This entry was posted in Main Dishes, Meatless Monday, Vegan or Vegan Adaptable, Vegetarian and tagged Eden Foods. Bookmark the permalink. 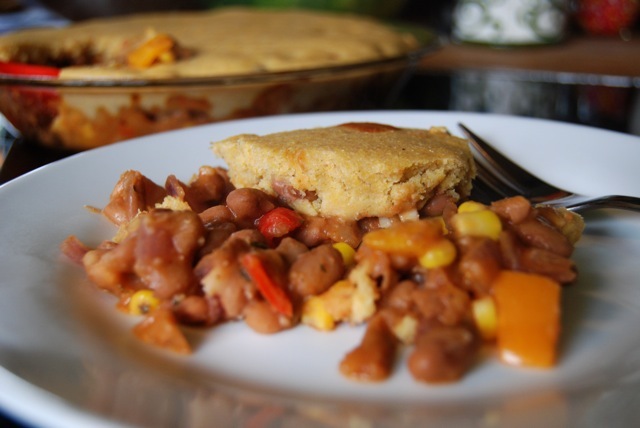 11 Responses to Hot Tamale Pie – Low Sodium, Vegan, and Delicious! Oh, for god’s sake. I leave you unattended for a week weeks and you go right off the deep end! VEGAN!?! You’re one of ‘those’ people now!?! What about cheeseburgers, ice cream, and BACON!? oh, the humanity. Farewell corn chowder. Goodbye quiche. So long hellmans mayo. What about THE CHICKENS? Okay, in all seriousness, I’m happy that you are rocking this new lifestyle. Listen, if I, burger queen of the universe, can go off red meat for 2 years, you can do this. I was wondering how your dad is doing with his attempts–got an update from another post and am duly impressed. There is indeed something to be said for Brussels sprouts. 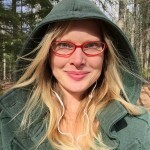 I absolutely agree with everything Nat said, but I sure do love “it’s so freeing not having to eat anything that once pooped”. 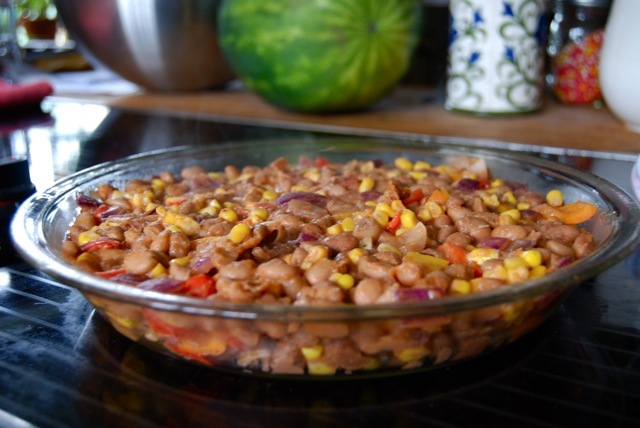 I love this Southwestern flavor profile and would go nuts over this stuff, meat or no! The pie was so easy and good – and even though it has BEANS (maddie’s arch enemy) even she enjoyed it. Thank God for cornbread. Any time I hear ‘cornbread’ I’m sold, Dishy! You – and my daughter too. SOLD! Shambo, please let me know if you’re having trouble still w/ your subscription and I’ll see what I can do. 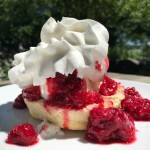 As for the recipe — we LOVED this. Really hope you do too! Will make this again. Nice to have some very hearty meatless dinners. Easy to make, too. Ok, so here is list of all the dishes we’ve made: pasta and lemon asparagus,fish chowder, mushroom quiche, tilapia and mango salsa, Kung Pao chicken, lemon cake, apple cake, Thai pasta salad, chickpea stew, tuna noodle casserole, one pot chicken and vegs, and more. Some of these we’ve already made twice. I think the stir frys we’ve made 5times. That mock soy sauce is great. Thank you for your contributions to our health, and other folks’ too. Wonderful to hear, Kate! SO happy you’re finding so many “keepers” among the recipes! Totally makes my day!